Imbrication is a fancy word that means the overlapping of edges, such as in scales or tiles. Or shingles, as it turns out. 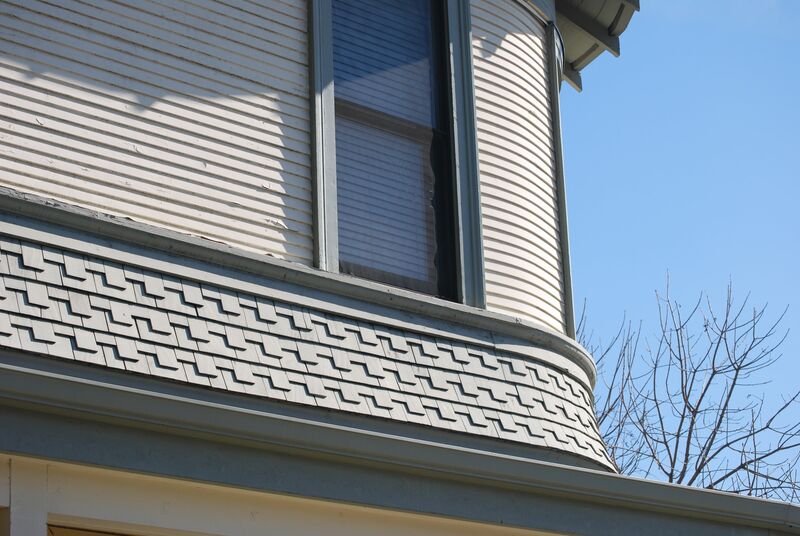 In architectural parlance, imbrication is the use of specially shaped shingles to create a decorative effect. 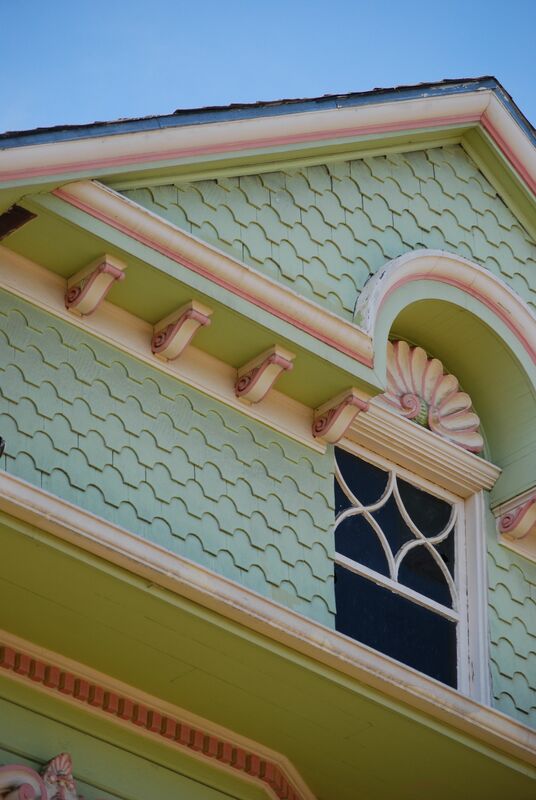 Imbrication is often seen in Victorian homes, especially those built in the Queen Anne style, between about 1880-1900. With the advent of powered mills, cedar shingles could easily be made in uniform widths and with the overlapping edge cut to many different decorative shapes. 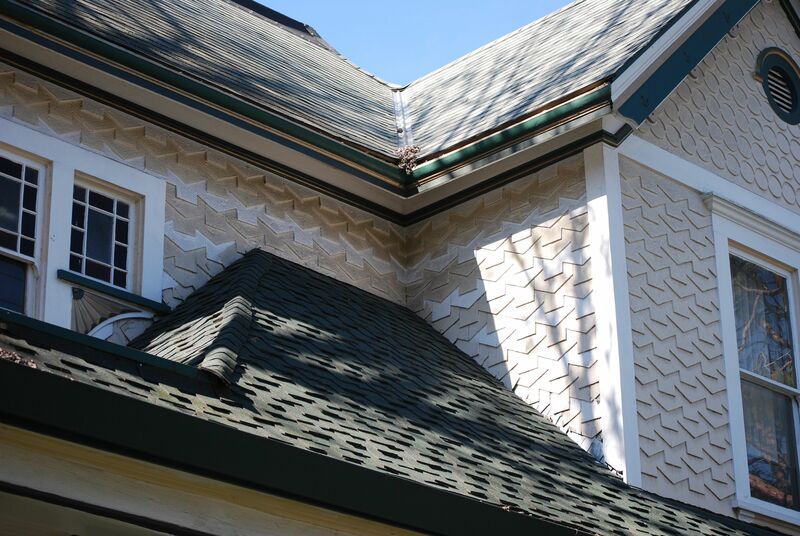 Combining different shaped shingles together could product even more decorative effects. 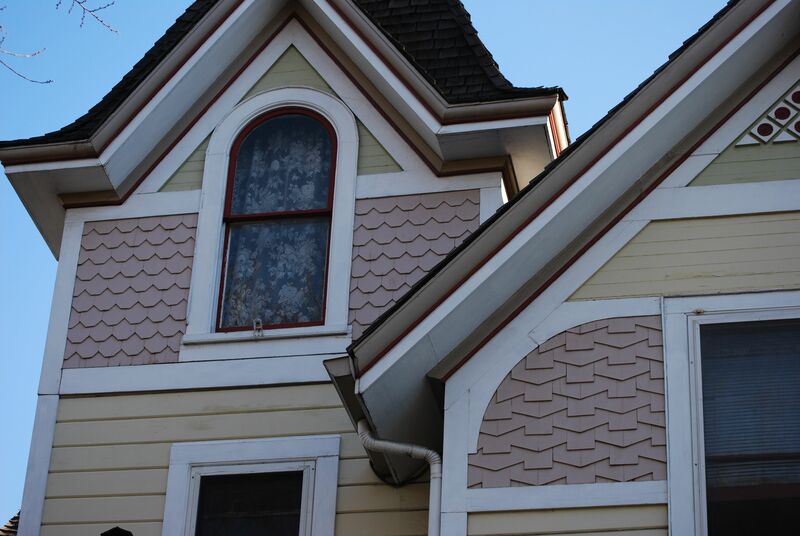 Painting different rows of shingles contrasting colors adds an additional layer of exuberance. 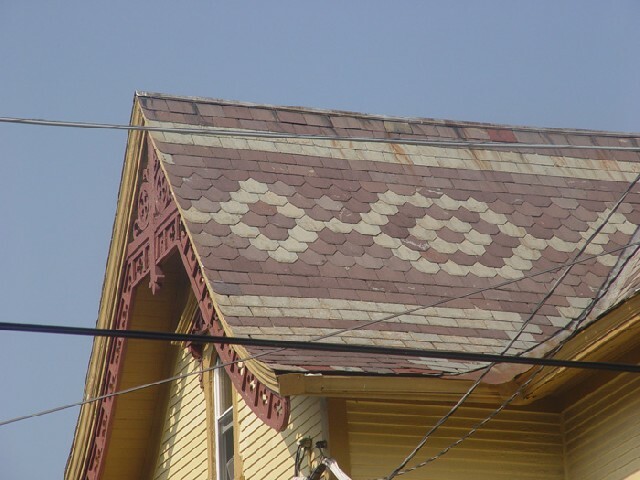 I took many of these photos walking down a couple blocks of Queen Anne homes in San Jose, CA, just to provide an idea of the wide variety of decorations that can be provided by simple cedar shingles. Imbrication can also be seen in colored slate roof tiles. 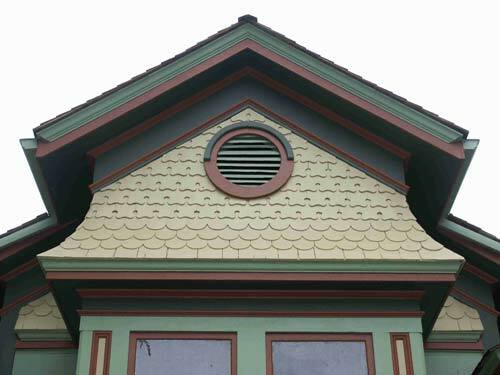 Two different shingle patterns on the body of the house and the gable. 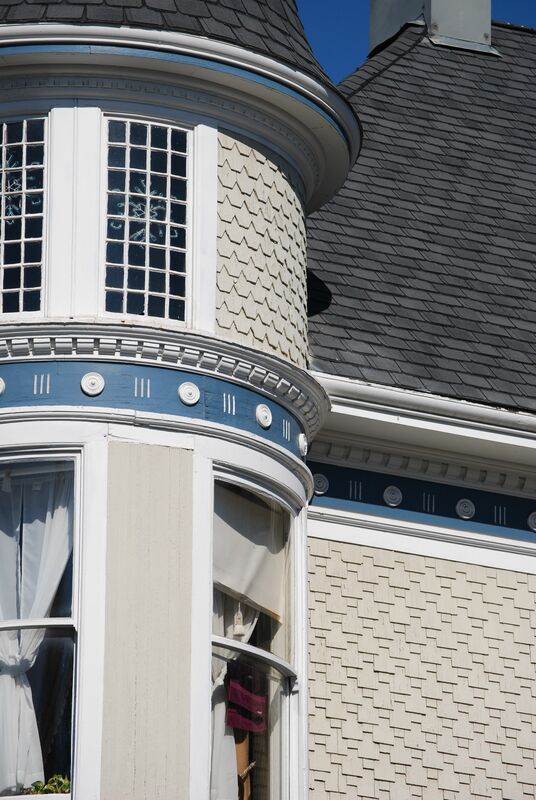 Such is the popularity of decorative shingles that they are still made and sold today ready for the next generation of extravagantly and beautifully decorated homes. This entry was posted in Old Houses and tagged architecture, old houses, Victorian by mjtierney1. Bookmark the permalink.